As you probably know publishing video content on your blog is an extremely good way to reel in tons of traffic – while also improving engagement levels and conversion rates. However if you were to just publish videos on your blog on a whim, you may notice that the traffic they attract doesn’t seem to be all that you imagined it to be. Although videos are different from text, they still rely on search engines for a big chunk of their traffic – which is where SEO comes into play. Take the time to conduct keyword research on terms related to your niche and target the right ones in your title as well as description. While there is still a lot of debate on the merits of self-hosting vs. publishing on YouTube, the fact of the matter is that YouTube in itself is a huge source of traffic. Granted publishing videos on YouTube will mean that the traffic isn’t on your blog, but you can then channel it there by providing a call to action along with a link in the description. As you start publishing more and more videos, make sure that you also focus on developing your following. Interact with your viewers in the comments section or on your social media presence, conduct polls, and try to keep to a regular schedule when publishing new video content. All of that should help you to gradually build up a following of regular viewers that will act as a nice little base of traffic. Needless to say your ability to get more traffic to your blog using videos is going to rely heavily on the quality of the videos that you’re able to produce. If you feel you may have trouble on that front you may want to look at Movavi Screen Capture Studio. 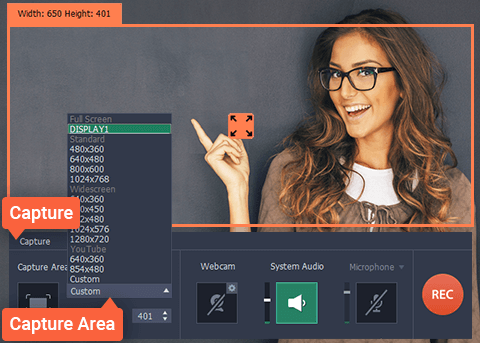 As you may surmise, Movavi Screen Capture Studio will let you capture desktop video from your screen, or from a webcam. It will then let you edit it by cutting and combining video segments, enhancing the video quality, applying special effects, including audio tracks, and more. By the time you’re done you should have an impressive-looking professional quality video that is perfect to be used as video content for your blog. If you want you could even use Movavi Screen Capture Studio to edit different versions to use on social media and video sharing platforms so that you’re able to generate even more traffic.